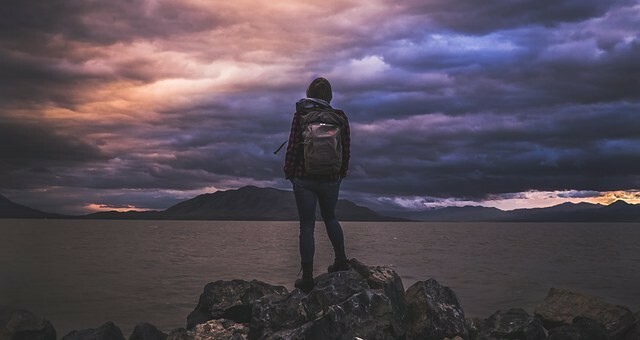 Whether you are doing it for work, for family matters, or to get some time off, traveling alone can be very stressful especially if you are not used to being alone. It is very understandable really; you are in an unfamiliar land with nobody you know around you. You have to make do on your own and figure things out on your own. The whole thing can end up being quite messy. The main reason for stress during traveling alone is loneliness. We live in a place that we have been familiar with all our lives, we talk to people we know, and we are aware of how things work in the area. So when we suddenly find ourselves in a place which we don’t know anything about, surrounded by people we are not acquainted with, coping can be challenging. However, if you learn to cope with the stress, traveling alone can be a rewarding experience instead of an exhausting one. People who get used to going on trips alone then eventually start enjoying these little bouts of solitude. When we are traveling by ourselves for the first time, it becomes difficult to think about leaving the spots that you are familiar with. You fear getting lost or anticipate something terrible happening to you. This situation is especially true for people who are out for business or family matters. They coop up in their hotel rooms and stay there all day long. Little do they know that staying in one place and repeating their routine is likely to increase their stress instead of relieving it. So if you are out for work matters, try to set up shop in a café or your hotel’s lobby. You will be surrounded by people all the time, and you will feel less lonely. You can even take your stuff to a nearby park and breathe in the fresh air while working so that it is less stressful. If you are out on family matters, you can ask a relative to take you out somewhere. If there isn’t much to see in the area, you can go on walks at night to get a feel for the town. Make sure you don’t spend entire days in a single room because that can add to your stress massively. We often avoid meeting new people when we are traveling alone for the first time. We mainly prevent interaction because we are unaware of people’s behaviors in other lands. We believe that they will scam us, or be condescending towards us. Even though it is essential to take precautions, we must never shun new people from our lives. You might find a couple of people who you click with. You can learn something about a different culture. Sure, you might find a mean person or two, but if you look hard enough, you will find amazing people. It doesn’t have to be a local person who you get to interact with; you can talk to other tourists too. For example, if you are traveling in a group where you don’t know anyone, you can try to spark up a conversation and get to know people better. Keep in mind that as soon as you see that a person is behaving in a shady manner, stop interacting with them entirely. Avoid them every chance you get. You might be a little paranoid, but it’s always better to be safe than sorry. No matter where you remember that there are always new things to see. Every place has its rich history and culture. Every place has something beautiful to offer, be it fantastic architecture, beautiful parks, and gardens, sandy or rocky beaches, etc. If you don’t discover the beauty in every place, you will eventually regret not doing so. There are many tours in many places that are tourist hotspots. You can look them up and join them. The tour guides know things that you cannot even fathom seeing on your own. Other than that, you can also ask a local friend or a relative to take you to see what’s beautiful in a place. Take lots of pictures and form memories that you can carry back home and discuss with your loved ones. Every place that you can visit has a new experience to offer. Back in your hometown, even if new things spring up, you usually don’t even bother trying them out because you are so familiar with the place that nothing seems new or different. When you are in a distant land, though, things are different. If you are stressed out about your loneliness, you can try marijuana for stress relief if you are in a place that has legalized marijuana, read this valuable post here. People who visit places with legal marijuana make it a point to try it out every chance they get. It will make you happy and relaxed, and you can enjoy your trip better than before! Other than that, there are other daring experiences that you can try out as well. For example, there are daredevil things like skydiving, cliff diving, and gliding. You can even try river rafting or skiing or anything that you cannot do back at home. The thought might scare you at first but it will shift your stress, and when you succeed in trying out something different, the exhilaration will make you happier than ever! It makes all the sense in the world to miss your people back home, be it your family or friends. This feeling especially holds true for people who have left their children behind for their traveling ventures. Once you hear the voices of your loved ones from back home, you will feel much calmer than before. Talk about how things are going for you and ask them about their day as well. If your family hears about how you aren’t having fun, they will likely be disappointed because they will be looking forward to stories from your travels. Some people also choose to keep their Skype or Facetime on while they work. Even if you are not talking to them their presence alone will help you feel more relaxed than you were previously. Again, this strategy holds especially true for people who have left their kids back home. Just watching your kids go about their day can have a massively calming effect on you. Traveling alone is one of the best ways to embark on a journey of self-discovery and personal growth. Try to enjoy the solitude and your own company. In the hustle and bustle of our daily lives, we often forget ourselves and become dependent on the company of others. Having a new perspective on your own life is a great way to start some personal growth. If you can get used to it, it becomes addictive. Naturally, the stress goes away as well. You will end up looking forward to trips alone a lot more than you do now.